This spiked out Sith is one of the few redeeming characters to emerge from the Star Wars prequels (we love you too, Qui-Gon Jinn). 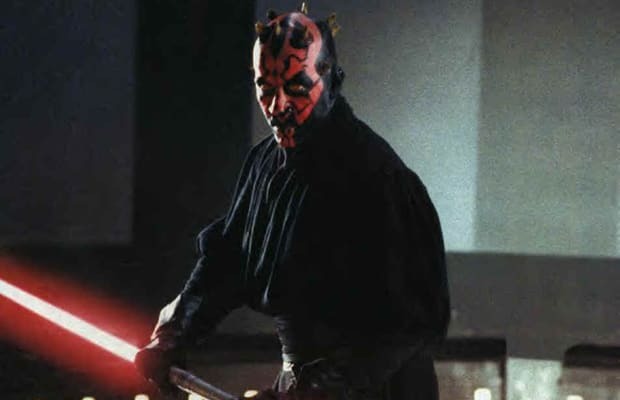 We enjoyed the addition of Vader, Yoda and Starkiller in the fourth iteration, but we need to see Maul get a shot. We're having nerdy wet dreams over here about the crazy move possibilities that Maul could pull off. The double-edged lightsaber sounded amazing when we first heard about it, and it looked friggin' amazing on the big screen. We want to wield that bad boy and cut off that diseased claw Nightmare's been sporting for so long.